Implaclean® was the first toothpaste that contains active oxygen. In 2007, Dyna Dental Engineering B.V. (A Dutch dental implant manufacturer) came up with the idea to use the patented Ardox-X® formula in a toothpaste. 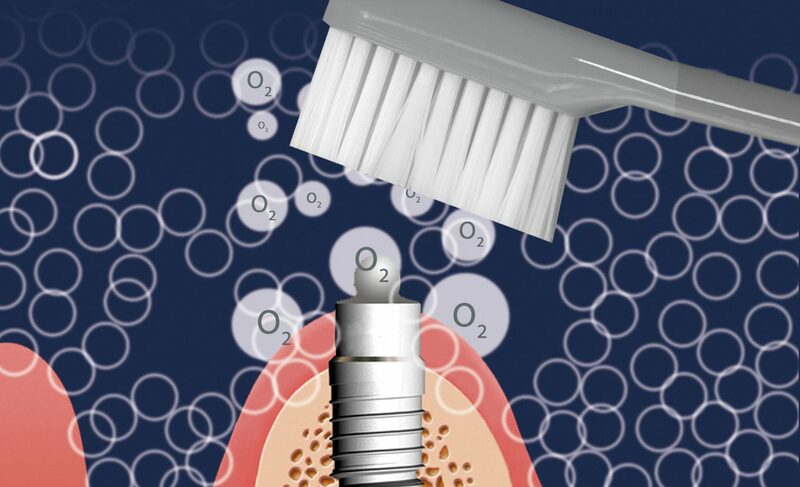 The function of the toothpaste is to keep dental implant constructions clean, without negative effects. The patented Ardox-X® technology is combined with lactoferrin, which offers a vast array of benefits. Ardox-X® has been patented worldwide. The unique technology was used to develop a toothpaste, that takes special care of oral hygiene and dental implants: Implaclean. Dental implants need special care. We discourage the use of normal toothpastes, because their ingredients can damage the implants. Fluoride, pH-value, abrasives and bad oral hygiene can all affect the implant. Implaclean® does not contain abrasives, has a neutral pH-value and minimal amount of fluoride to prevent damaging the implant. Treatments using oxygen dates back to 1959 and the results are extraordinary. In 2006, Ardoz Healthcare B.V. was the first to discover and develop active oxygen technology. This active oxygen, named Ardox-X®, has been patented worldwide. This is one of the main ingredients in Implaclean that offers valuable benefits for oral healthcare. Implaclean® is sold in over 50 countries worldwide and recommended by oral surgeons, dentists and dental hygienists. Implaclean is part of Dyna Dental Engineering B.V.
© Copyright - Implaclean is part of Dyna Dental Engineering B.V.